For many people, the joy-con controllers which come out of the box are more than satisfactory for gaming on the Nintendo Switch. 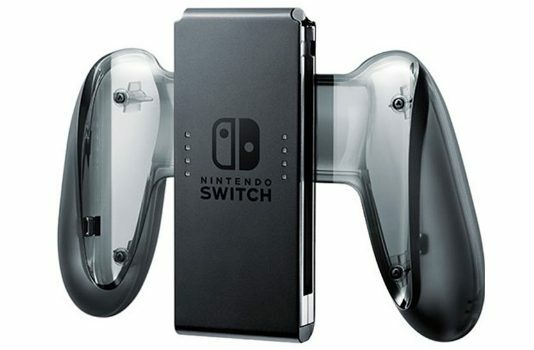 They are ideal for on the go gameplay and when you are playing games like 1-2 Switch. 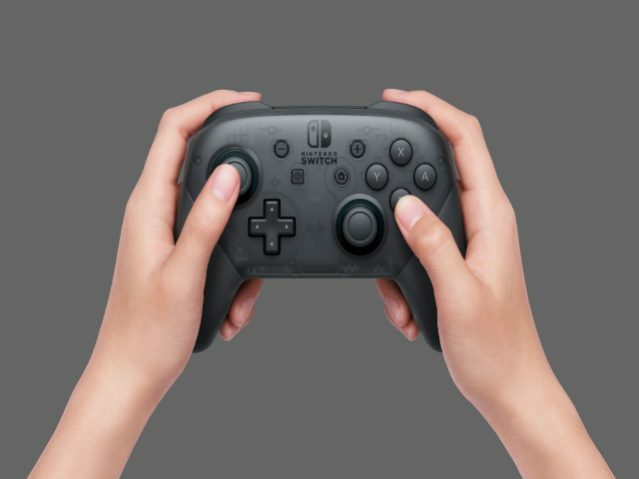 But for people looking for a more traditional approach, the Pro controller is for you. It resembles an Xbox controller, with the placement of its dual thumbsticks and D-pad, but overall provides an amazing gameplay, thanks to its durability and build quality. The Nintendo Switch comes with a kickstand for all your portable needs. A nice addition, but the pre-equipped kickstand is nothing special. It is made of plastic which might be prone to a little wobble, and also covers up the charging port. The Playstand from Hori solves this by having a really good build quality while having no obstructions to the port. The Playstand is made up of a hard plastic which offers more stability. Also, the stand offers multiple viewing angles, and the ability to fold completely flat for the ease of portability. It also makes for a good desk accessory. And the best part? It is only $13. The Nintendo Switch comes with a USB type C port, which means it can be easily recharged by a power bank. But the condition being that the power bank must provide at least 5V 3A, or the Switch would still lose charge. 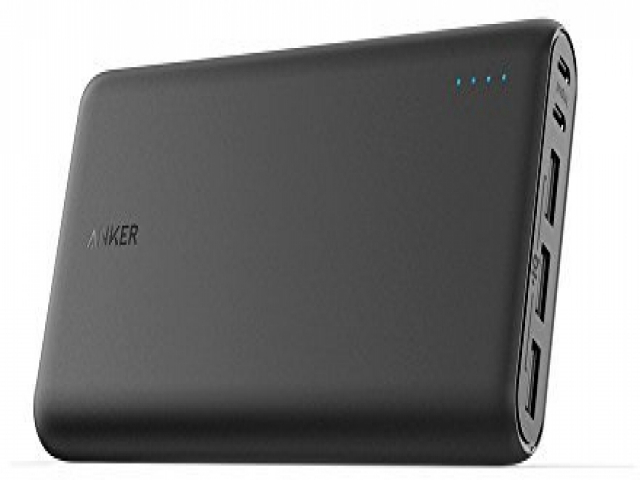 The Anker PowerCore 26800 is a massive power bank with a 26,800 mAh battery. 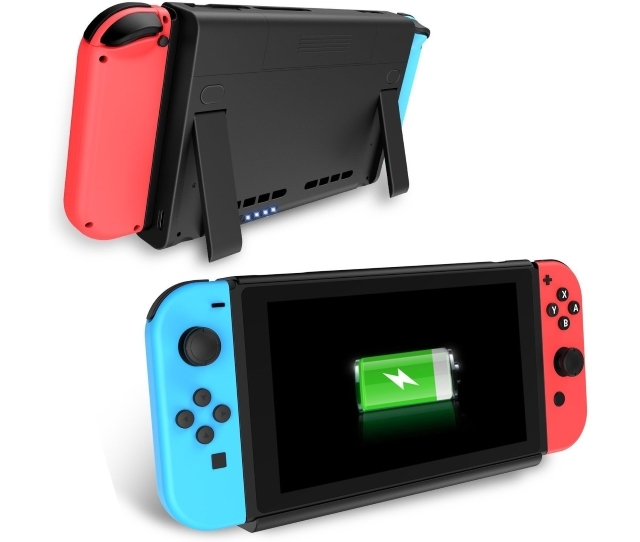 This means you can get 6 charges for the Switch from the power bank, and since it provides 5V 3A, it is ideal for the switch. The PowerCore is a great accessory to maximize the gameplay period of the Switch, albeit a little expensive. As we have mentioned, the Nintendo Switch has USB type C instead of some proprietary connector. This allows for a lot of third-party Type-C accessories to be used with the Switch. The Powerline+ is a USB Type-C cable. Now, you might find this odd that we have a USB C cable on this list, but if you own any other device you would know how easily the OEM cables break. 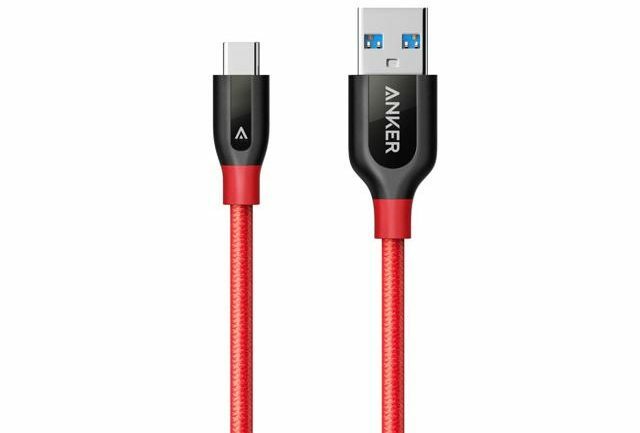 The Powerline+ from Anker is a great USB cable. It is made of Kevlar (a material used in bulletproof vests) and is nylon braided. This gives the cable serious strength, and this cable might be the only cable you will need for the switch. It can be paired up with the power bank we mentioned earlier, and it will ensure proper connection throughout. This is one of the simple solutions to a problem most Switch users might encounter. The cartridges that come with Nintendo Switch are small, quite small, and if Switch owners prefer hard copies of games rather than digital, the probability of losing a cartridge would be quite high. To combat this issuem the Game Card Case comes into play. It is a simple case with slots for the cartridges – 24 in total, along with space for microSD cards. 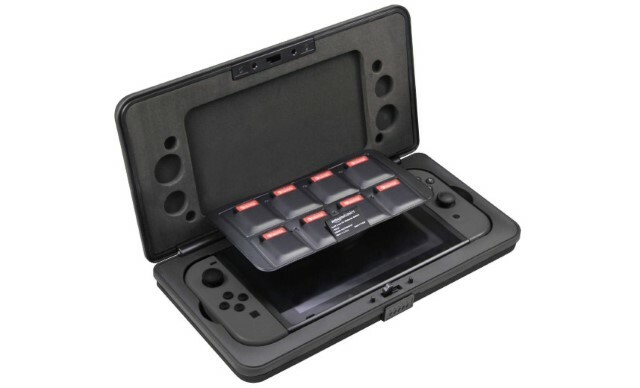 This would also be great for traveling, as a user can easily travel with the Switch without the bulky game cases and instead use this portable case. I love Amazon Basics products as not only they are of high quality but they also are quite cheap when compared to the competition. The Amazon Basics Vault Case for Nintendo Switch is a heavy-duty hard shell cover designed to protect your console when you travel. What I love about this case is that despite being really compact, it offers quite a good amount of storage space. You can easily store a Nintendo Switch along with its joy-cons and eight game cartridges in this case. It also features a dual-layer design for extra protection. There’s a hard outer layer which brings protection against drops and a soft inner layer which prevents scratches and scuffs. I also appreciate the memory foam lining which ensures a tight fit for all the accessories. This is one of the must have Nintendo Switch accessories if you travel a lot. The Joy Con controllers in the Nintendo Switch are great. They are new, fun to use, and quite portable. They can be separated to be used more comfortably or can be attached to various other accessories, like the charging grip. They are ideal for two players as well. When in portable mode, each player can use one of the Joy Cons to control their character. But the portability of the Joy Cons mean that they can be too small or slippery for some people. This is where the Joy Con Grip comes in to play. It is a little grip, which makes the overall experience more ergonomic. It has better thumb capsand adds more dimensions to the Joy Con. 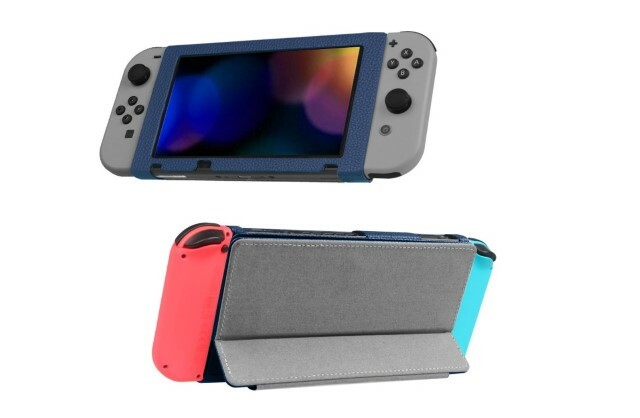 Another great accessory for the Nintendo Switch is the Fintie protective case which is perfect for users who are looking for a lightweight protective case for their Switch. The Fintie case is a multi-functional case which not only protects the back but also the front of Switch thanks to its fold-able design. 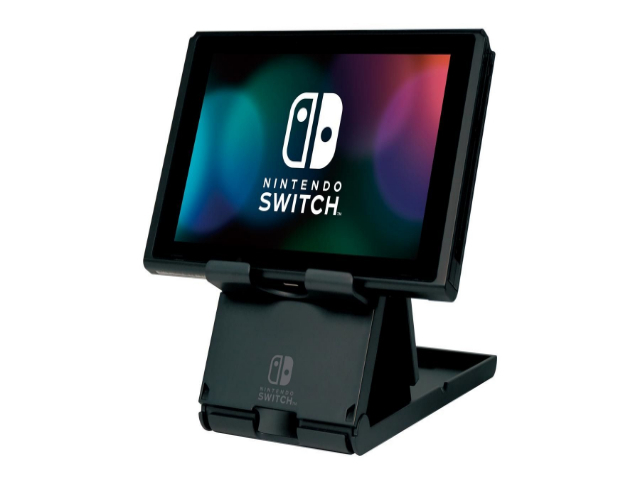 When not in use, the front cover can be folded back to be used as a stand for the Switch which is far better than the finicky stand that Switch originally comes with. I also love the fact that the back cover magnetically attaches to the front cover to keep it in place. This feature comes in really handy when you are using the Switch in hand-held mode as you don’t have to deal with a dangling cover. As I said, the Fintie protective case for Nintendo Switch is a multi-functional accessory which should be on the list of all Switch owners. The Joy Cons are wireless controllers with the Nintendo Switch are quite unique to the gaming industry. Apart from just being controllers, they also include motion sensors and a unique vibrating system to make it more lifelike. However, with all these sensors, they tend to run out of juice after some time. To aid them, Nintendo has a product called the Joy Con Charging Grip. It is a traditional looking grip with a charging pad to charge the joy cons. This is a great addition when using the Switch at home, as the joy cons are kept charged, and can easily be slid on the Switch when you would need to go out. You will be using the Nintendo Switch a lot, on the go and we have already talked about the battery performance of the Nintendo Switch. It will last you two to six hours before it dies. That is a pretty large delta, so to be always prepared for the worst, a car charger would be handy. 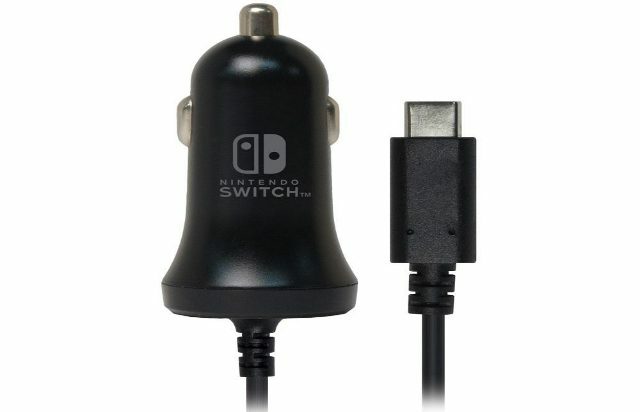 This Nintendo Switch car charger runs off the 12v supply of the car, so the charger would always have the energy to charge the Switch. In cases, where the large power bank we recommended is out of a charge, you can use this car charger to charge the Switch. Furthermore, the power bank can also be charged if you decide to buy both of these items, which we do recommend. These charging solutions would translate to huge gaming times, making the Switch a truly portable masterpiece. This one is for the base Nintendo Switch station you are going to use at home. While wireless internet is convenient, easy to access, and fine for casual usage, when you need high speed internet connection with low latency, a wired connection is your best bet. There’s only one problem with that, which is the fact that Nintendo Switch doesn’t have an Ethernet port. Well this adapter solves this problem by introducing an Ethernet port to the Switch by using the USB port on Switch’s dock. 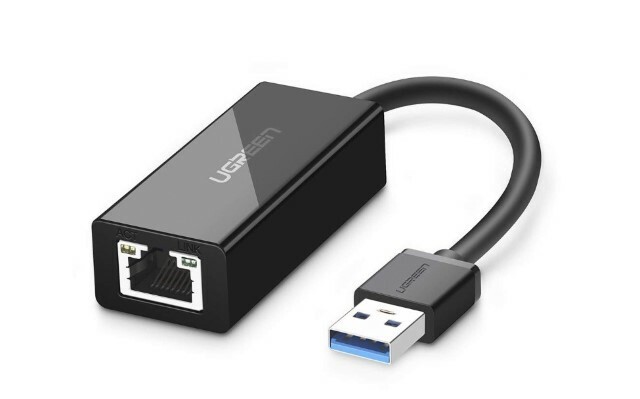 Once connected, you can plug your Ethernet in the dongle and achieve the best speeds that your internet connectivity has to offer. That means you will experience less lag while playing multi-player online games and you won’t be able to blame the internet for your abysmal gaming skills and will have to improve your game to win. The Nintendo Switch comes with two Joy Cons out of the box, one intended for left-hand use, and the other for the right. However, the Nintendo Switch can be paired up with four different Joy Con controllers for either 4-way multiplayer matches or two player modes. 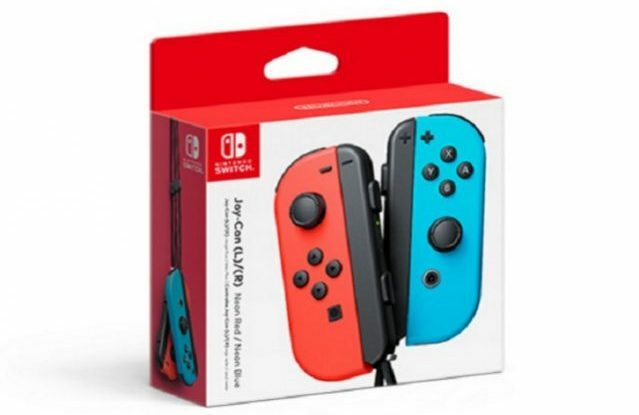 These Joy Cons come in two different colors: Blue and Red. And people looking to color coordinate their setup might want these to bring more color to their setup. The Joy Con controllers have motion sensors built right into them, just like their Wii console. To utilize this feature to its maximum, and to bring a sense of realism to the gameplay the Joy Con Wheel can be used. Plus, racing games are more fun when you can take the wheel. 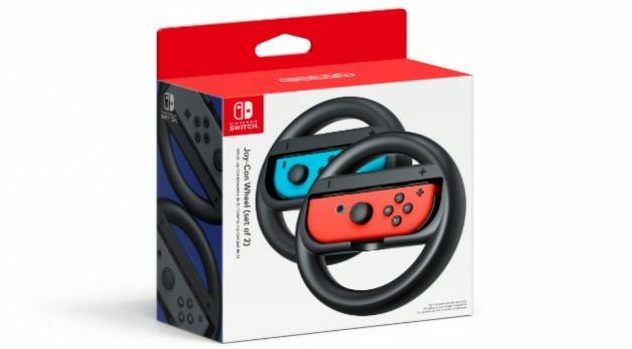 The Wheel is essentially a basic steering wheel with an indention in the middle for the Joy Con Controller. It is an affordable accessory that makes racing games such as Mario Kart more fun. The Joy Con controllers have a long battery life – about 20 hours, according to Nintendo. But, when you are gaming heavily, you lose track of time. Maybe you have extra Joy Cons and you want to charge all of them at the same time. This is where the Joy Con Charging Dock comes into play. 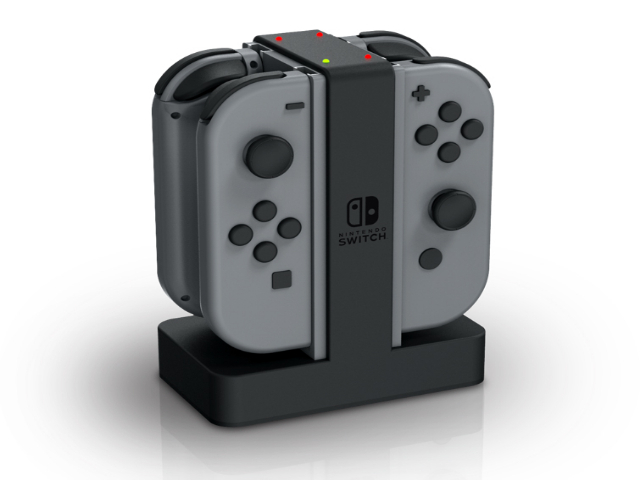 It is a well-built charging dock which can charge four Joy Con controllers. It has power LEDs and also indicating LEDs to notify you about each controller’s charge. It is easier to charge your controllers on this dock than to slide the controllers on the Switch. And, it also makes for a great desk accessory. The Nintendo Switch comes with a mere 32 GB of onboard storage. This is not much by today’s standards, and if you are someone who will be downloading a lot of stuff from the Nintendo eShop, then you should invest in a microSD card. 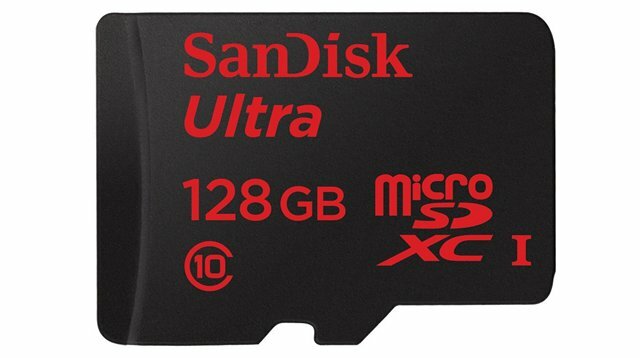 We picked the 128 GB version from SanDisk because it is fast and offers a decent amount of space. Game titles can be quite large an some games might completely eat up that 32 GB storage. Having more storage would mean more titles and who wouldn’t love extra titles? While the joy-cons are great, they don’t do justice to most fighting simulators, such as the Ultra Street Fighter. This is where the 8bitdo N30 Arcade Stick comes in. The controller features 8-buttons that mimic the arcade controls you grew up on, with extras such as a turbo mode and a toggle for switching between d-pad and joystick inputs. Furthermore, all the buttons on the controller are mod-able and customizable. The N30 touts a gorgeous NES-inspired paint job. Additionally, the arcade stick can also be used with PC as well as Android. While the Nintendo Switch is essentially a portable console, when put together with its accessories, it isn’t as portable. If you want to carry the dock, your headphones, the charger, then packing everything together can be quite tedious. 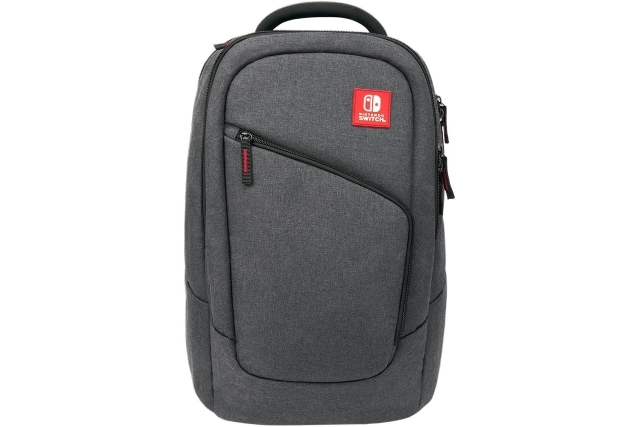 Thankfully, Nintendo has rolled out an official backpack – the PDP Nintendo Switch Elite Player Backpack. Not only does the backpack look stellar on the outsides, it has enough space inside for all your accessories. 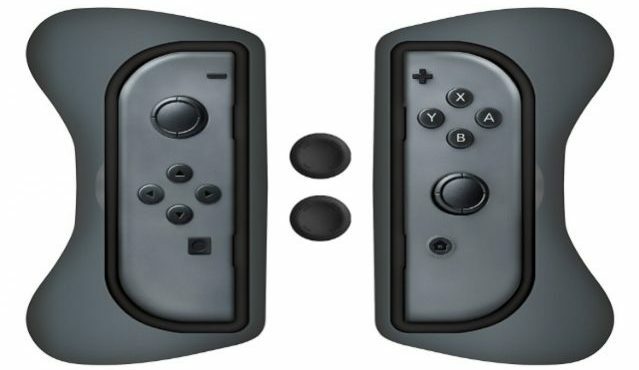 It can pack the console, 6 extra Joy Cons, dock, cables, games, headphones, pro controller and personal accessories, all together under a nice black and grey package. While I did mention a power bank earlier, you might find it troubling to find a constant place to keep the power bank at whilst gaming on the go. Luckily, we have the Antank Portable Switch Battery Case for that. 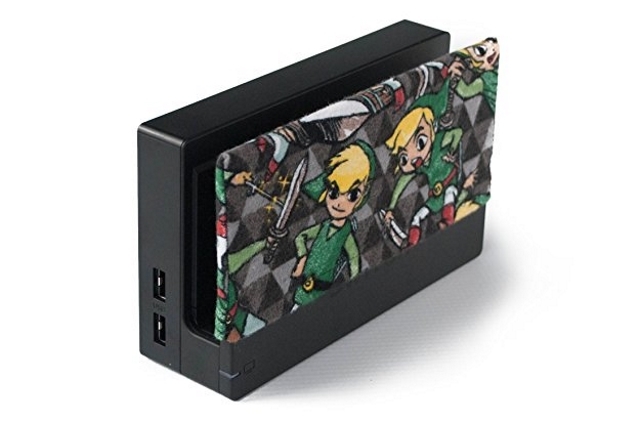 This caseattaches itself to the back of your console, so you can continue gaming while charging at the same time. With 6500mAh of power capacity, it more than doubles-up your on-the-go gaming time. 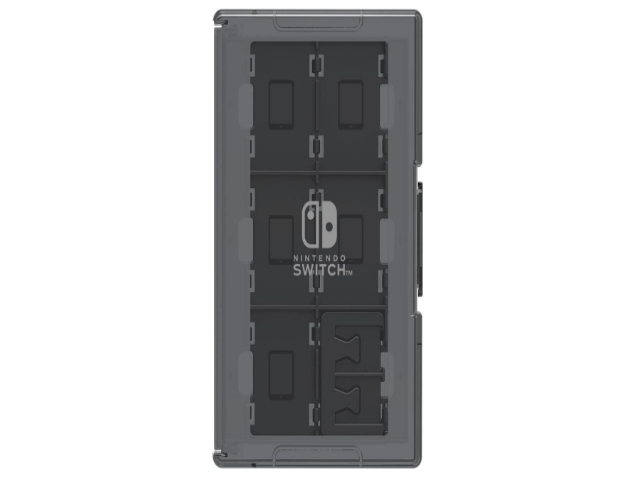 Furthermore, the case has enough durability that it will add in some extra protection for your Switch. Yeah, you can always call it the “Sleeve Protector“, but come on, the Switch Dock Sock sounds so good. Many people have started making and selling simple cloth covers for the front part of Nintendo Switch Docks. They end up adding a little bit of style and protection for setup. Available in a plethora of styles and designs, with each one something new and different, these dock socks help in giving your setup a cool new look. Now while a tempered glass does take away some of the beauty away from the display, it gives it an unmatched level of protection. 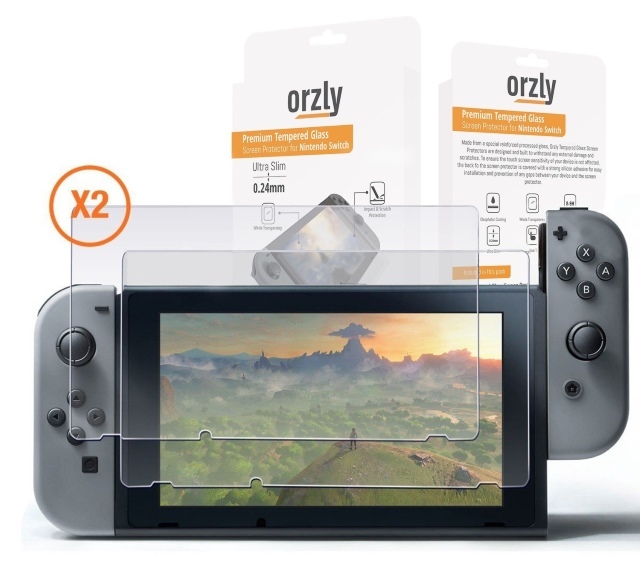 So if the Orzly Folio cover is something that doesn’t seem as strong or effective to you, the company also has a tempered screen protector in its offerings for the Nintendo Switch. Only 0.24mm thick, the protector maintains the original touch experience. Its minimal thickness also prevents any hindrance while slotting the console in the dock mode. Furthermore, the package comes with a pack-of-2 protectors, so you’ll have one handy, just in case. Nintendo Labo is one of the best and most interactive gaming product to hit the market in a while. If you are someone who is annoyed because your kids are spending all the time playing games, why not introduce them to something which is both fun to play and creative. Nintendo Labo is that product and you should definitely consider buying it. 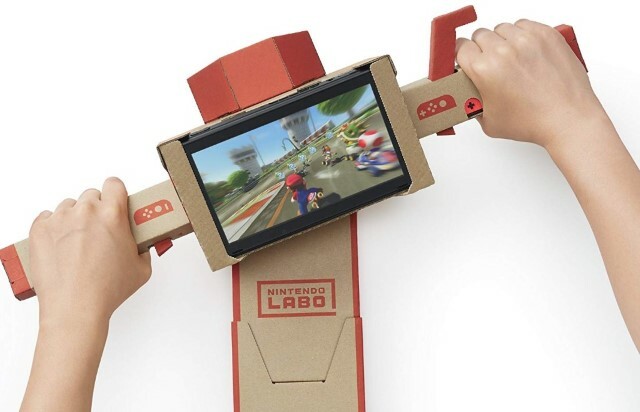 Nintendo Labo basically allows kids to build and play with their own cool creations. There are different kits available which can be used to create different toys which then can be used in conjunction with the Switch’s hardware to play games online. Both the idea, and the execution are pretty cool and you should definitely check it out. You can read more about Nintendo Labo by visiting its official website. Well, if you have already bought yourself a shiny new Nintendo Switch then it’s only appropriate if you buy all the necessary accessories for the Switch as well. Just buy the Nintendo Switch accessories that you require like a carry case, charging case or whatever you want. 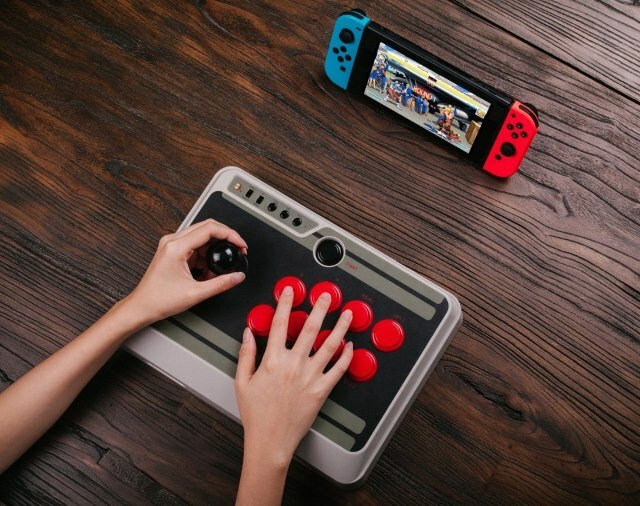 Let us know if there are any other cool Nintendo Switch accessories out there. Sound off in the comments section below.